Ready for a fresh take on classic? Prepare to experience the cool style and sophistication of a Tailor Store made to measure blue dress shirt. When everyone else in the office wears white, go for a tailored blue or navy dress shirt and stand tall amongst the crowd. For inspiration and style ideas, browse our wide range of made to measure blue shirts below. Whether it’s a casual, dress or business shirt, the possibilities are endless with Tailor Store. Like a white shirt, a made to measure blue shirt is a great style choice for all occasions. With so many different shades of blue, sometimes it can be hard to know where to begin. Got an important meeting or that dream job interview? Check out our light blue business shirt. Taking someone special for dinner? Go for a navy blue Oxford shirt with dark trousers for a modern sophisticated look. 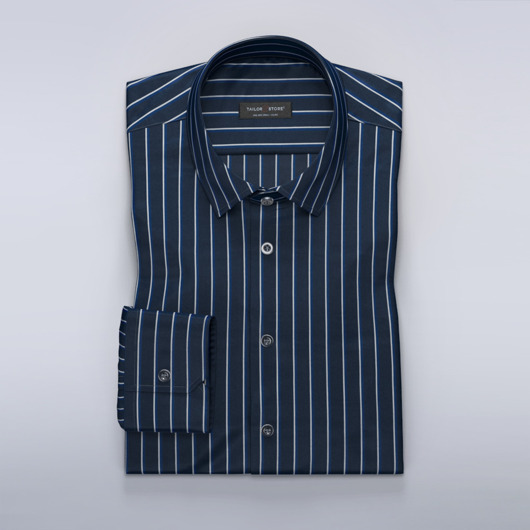 Wherever you go, and whoever you want to impress, you’ll look great and feel even better in your made to measure shirt. 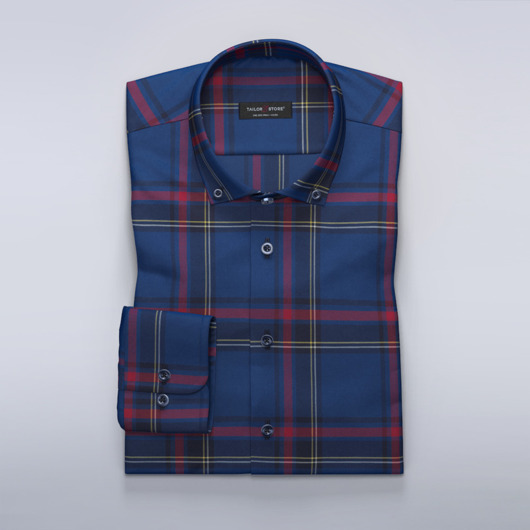 Many of our customers enjoy exploring different styles of blue shirts in our easy to use shirt designer. Switch between a wide variety of shades or customize any detail of your blue dress shirt with just a single click. 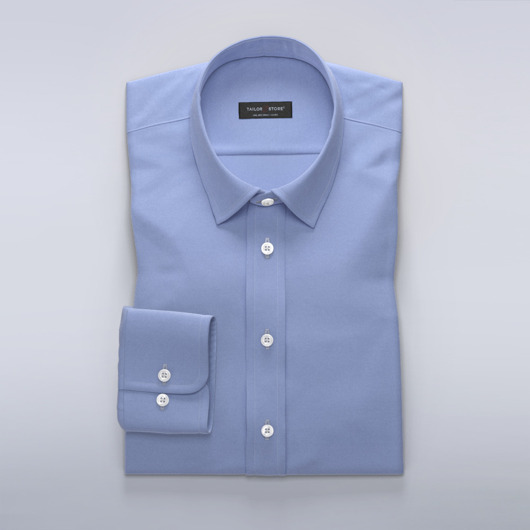 For a dapper office look, try a light blue made to measure shirt with contrast white collars and cuffs. To make your blue shirt truly unique, add your initials with a custom monogram. Long-legged Egyptian cotton and puma cotton are highly recommended for those seeking a superior quality tailored blue or navy shirt. These added lustre fabrics look especially stunning in light blue or stylish navy. Wear either of these blue shirts with a dark suit and make a great impression with friends, colleagues or loved ones. Alternatively, leave the jacket at home, and own the day in your perfectly made to measure blue shirt. Play with contrasts and make a statement with your tailored blue shirt. Add pearl buttons, a white cutaway collar and white cuffs for an impeccable vintage look. For subtle elegance, why not try white contrast threads? If simplicity is your thing, then go with a single colour, like navy, or light blue. Whatever your preference, we have the perfect blue for you.